Do you ever find yourself hunting through your craft supplies for the absolutely perfect shimmer or shade of Nuvo for your project? 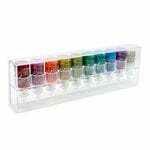 Do you know you have an acrylic paint that will be the epitome of perfection on the background of your layout but can't seem to find it? 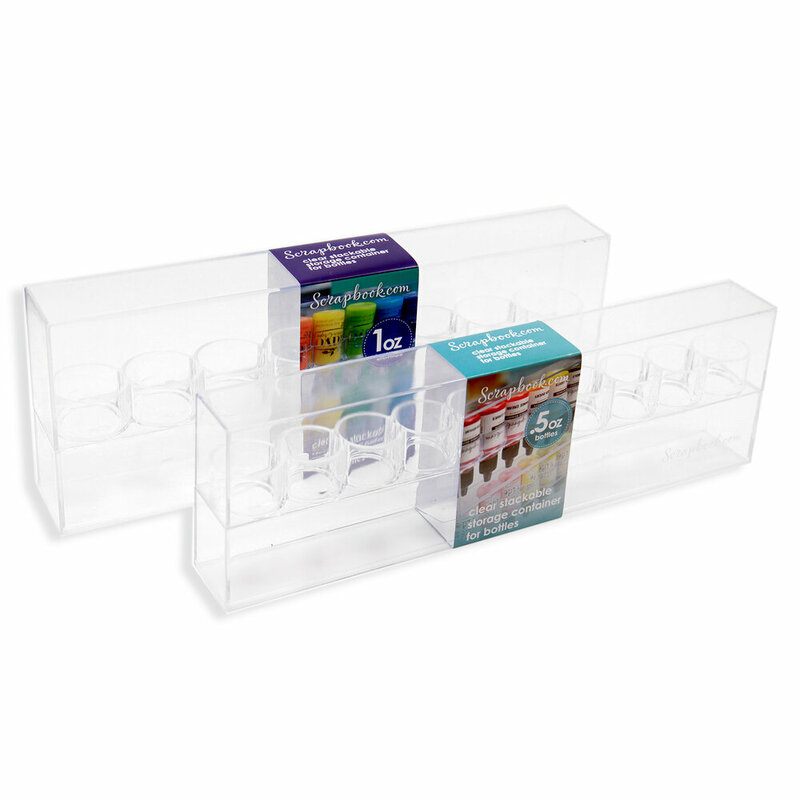 Do you want a clear storage solution for all your favorite 1 oz bottles so you always know what inventory you have and where it is? Then we clearly have the solution for you! Assembled container with base and lid measures 11.25" x 1.75" x 4.25"
When stacked with one additional 1 oz bottle ColorCase (sold separately), height is 8.125"
When stacked with two additional 1 oz bottle ColorCases (sold separately), height is 12.25"
With so many different products that would love to call the ColorCase home, how will you organize them? By color? By type? By brand? 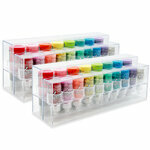 However you choose (we are loving the rainbow system ourselves)! 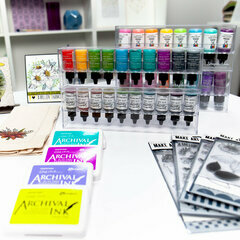 The sleek and slim design of the ColorCase makes it the perfect storage solution for almost anywhere you craft! 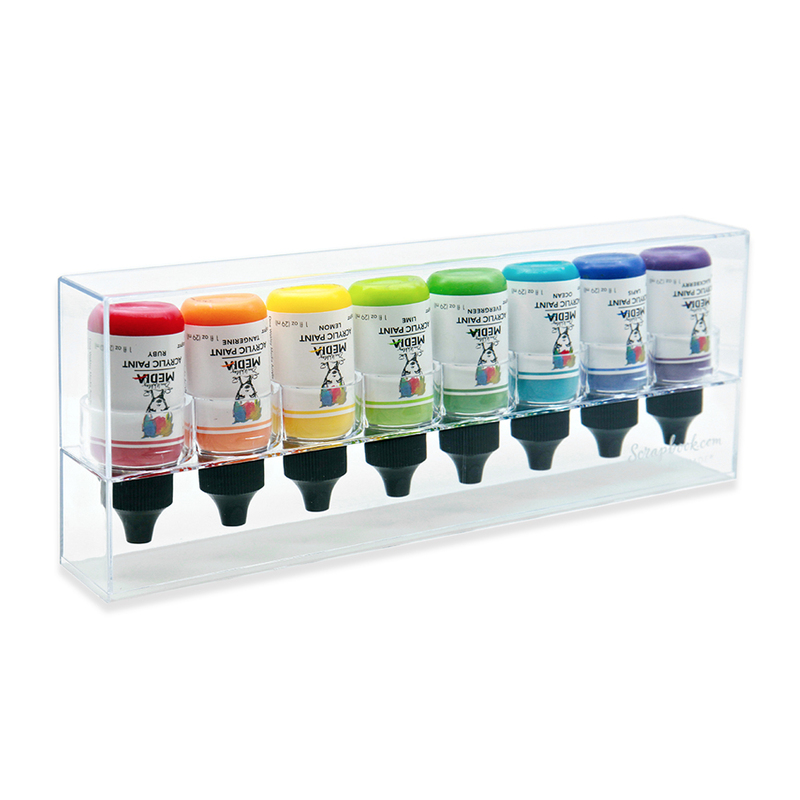 It fits conveniently in craft storage drawers, on bookshelves, in a cube unit, and on the edge of your craft desk or table. One of the best features about these cases is their ability to line up seamlessly next to each other or even on top of each other! 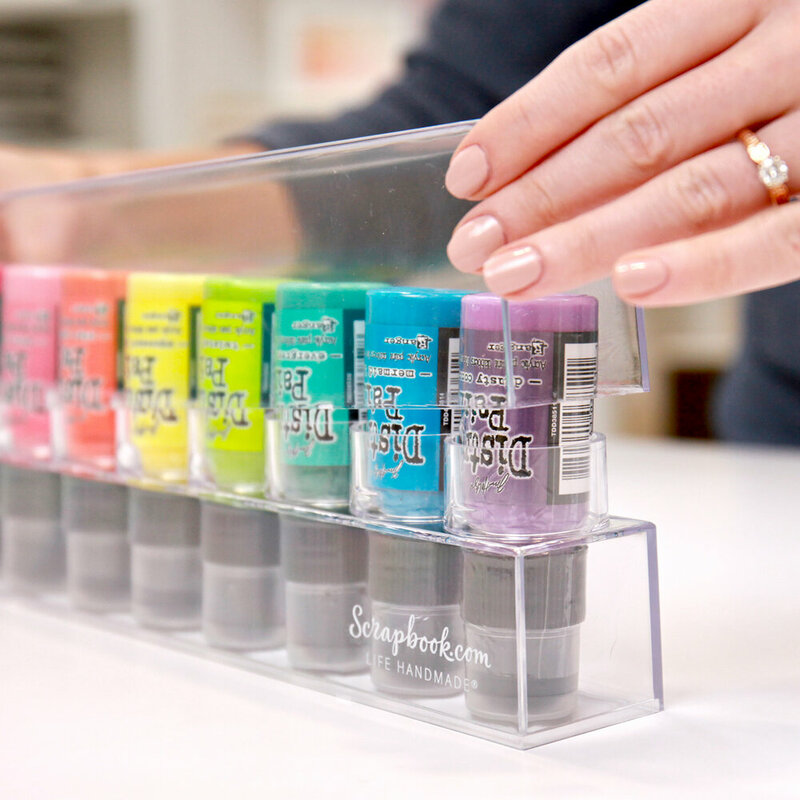 The ColorCases are designed to snugly fit on top of each other and form a sturdy connection for even more space-saving organization that will give you a true spark of joy! 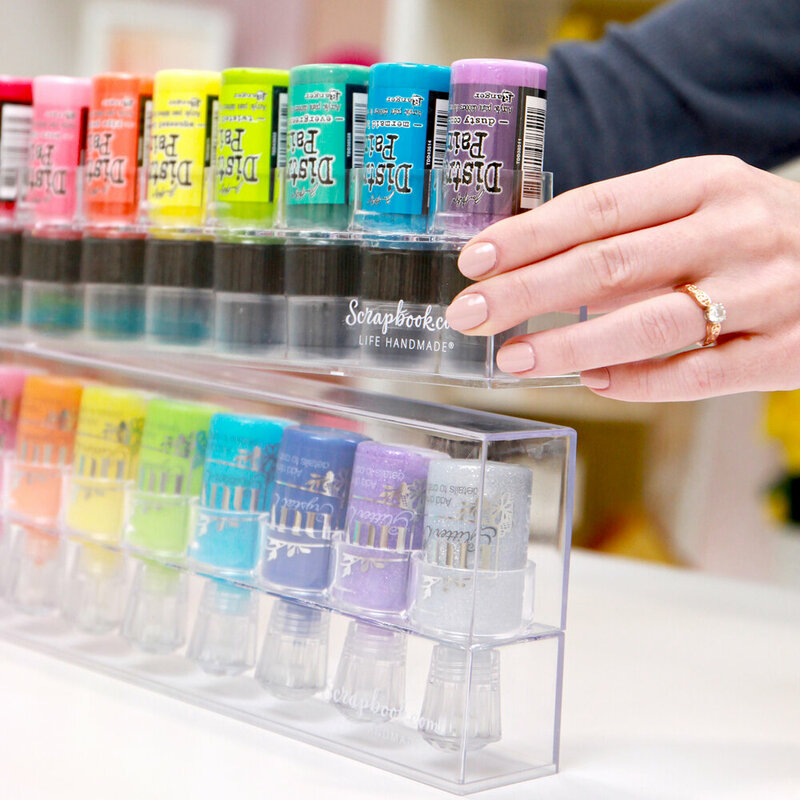 The ColorCase comes empty, waiting to be filled with your favorite 1 oz bottles. The 1 oz ColorCase is stackable with other 1 oz ColorCases (sold separately); .5 oz ColorCases (sold separately) look beautiful next to your 1 oz Colorcases but do not stack together with them. 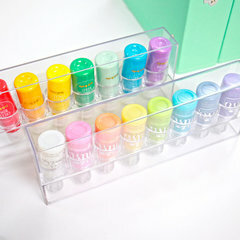 We know you're absolutely going to love the way the ColorCase gets all your 1 oz bottles organized and stored all in one place. 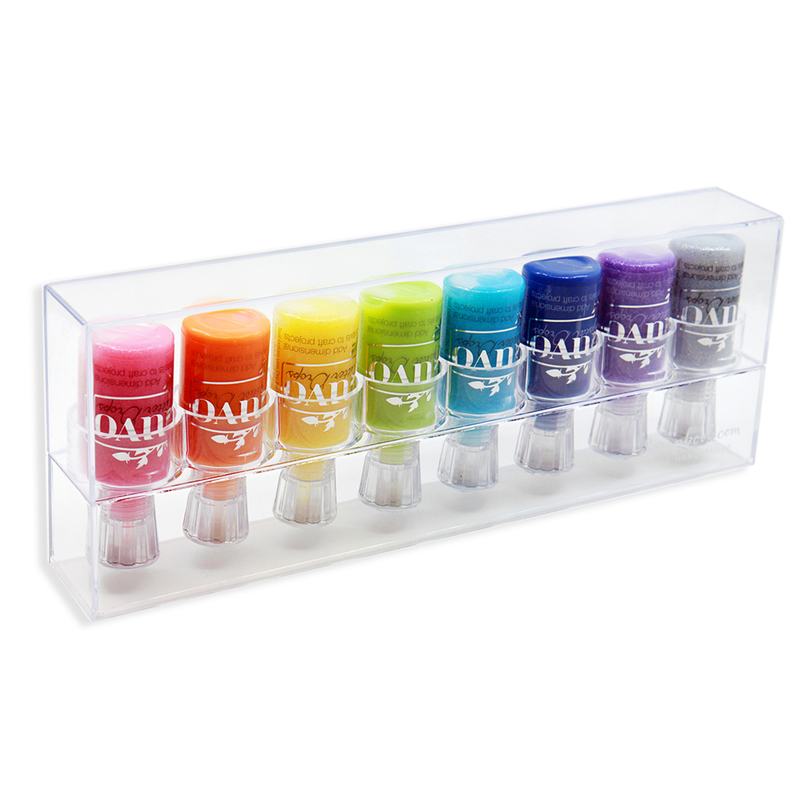 It will put an end to searching through bins, drawers, bags and more every time you want to use a specific Nuvo Glitter Drop, Acrylic Paint, Distress Paint, or other fun product! Love the ColorCase and want to see more? 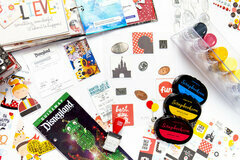 Check out the whole collection, including the .5 oz. bottle ColorCase and multi-pack bundles! Are they easily transportable, i.e., do the lids stay attached? By: txgirl4454 (02-Mar-19) Helpful Question? Yes | No Thank you! Report Inappropriate This question has been reported. Thank you! Hello! 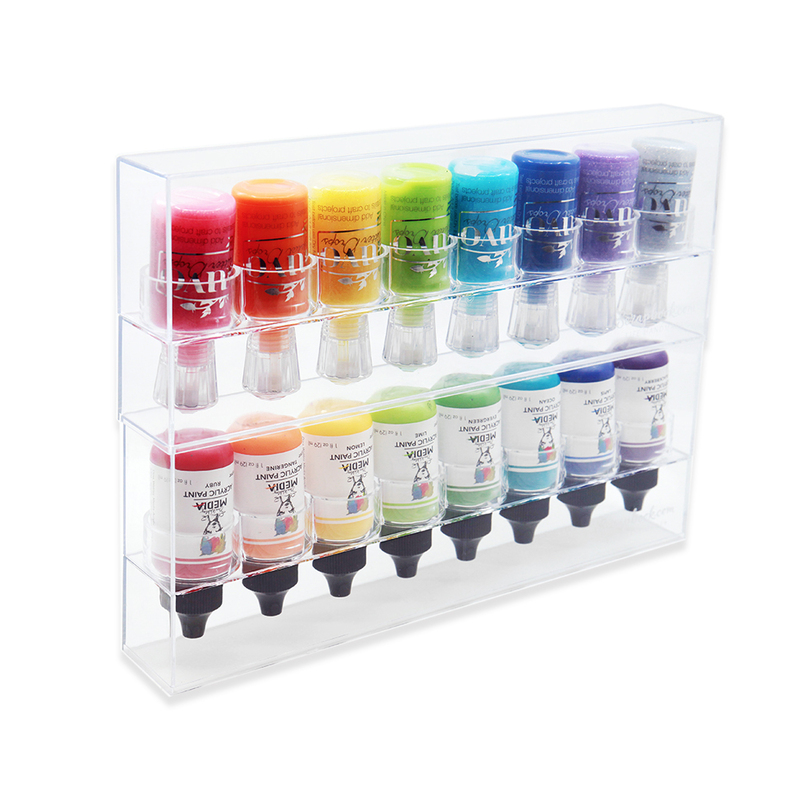 The lid does fit snugly upon the base of the ColorCase, but it is recommended that you pick up the ColorCase by the base whenever you're moving it in your craft space. Hope this helps! By: Jenn-in-the-Box (04-Mar-19) Helpful Answer? Yes | No Thank you! Report Inappropriate This Answer has been reported. Thank you! I don’t know. Just ordered and am away from home for a bit. By: geema816 (04-Mar-19) Helpful Answer? Yes | No Thank you! Report Inappropriate This Answer has been reported. Thank you! I would love to see these in a tilt- out version. Once they are stacked, they have to be un-stacked to get to the one you want. If they tilted out they would be perfect. By: dancingcat (19-Mar-19) Helpful Question? Yes | No Thank you! Report Inappropriate This question has been reported. Thank you! Great suggestion! Thanks for taking time to share your thoughts. By: Scrapbook.com (20-Mar-19) Helpful Answer? Yes | No Thank you! Report Inappropriate This Answer has been reported. Thank you! Hi there! Thanks so much for the suggestion and providing your feedback. 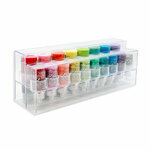 Please feel free to add your review of the ColorCase to the product review section. Have a wonderful day! By: Jenn-in-the-Box (19-Mar-19) Helpful Answer? Yes | No Thank you! Report Inappropriate This Answer has been reported. Thank you! If you have 2 or more stacked how do you access the bottles on the lower level? Do you have to take the upper level off to get to them? Thank you. By: juliebscrappin (02-Mar-19) Helpful Question? Yes | No Thank you! Report Inappropriate This question has been reported. Thank you! Hi there! Yes, you will need to unstack the cases to reach the bottles stored in the bottom unit(s). Hope this helps! By: Jenn-in-the-Box (04-Mar-19) Helpful Answer? Yes | No Thank you! Report Inappropriate This Answer has been reported. Thank you!